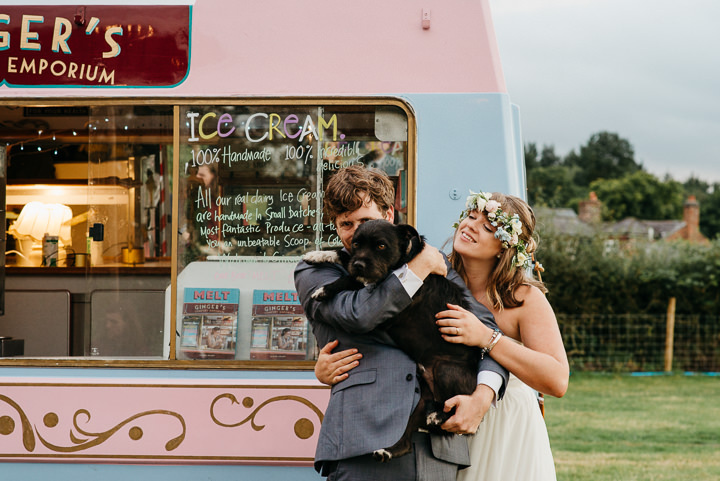 We have the cutest wedding for you today, courtesy of Elaine Williams Photography. 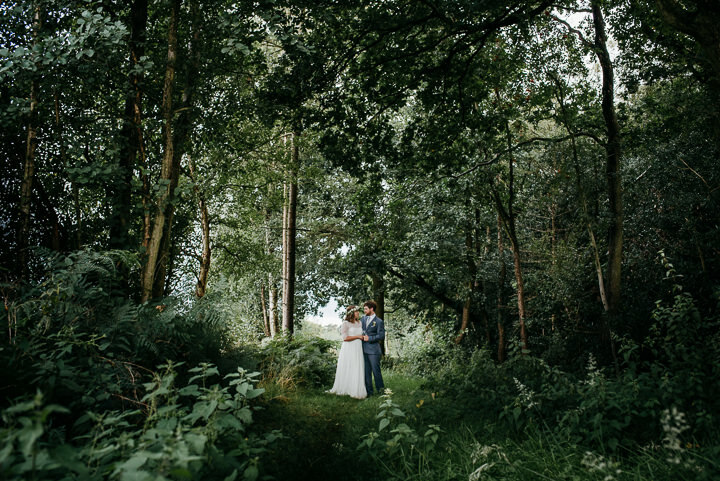 Abel and Paul chose a totally relaxed day that took place on Abel’s parents land near Shropshire. 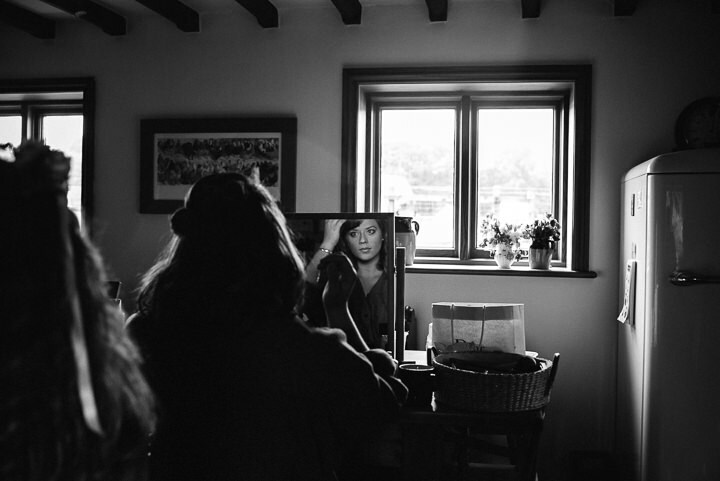 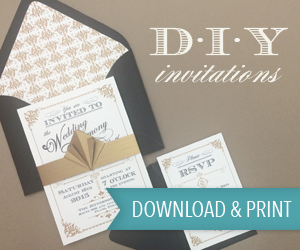 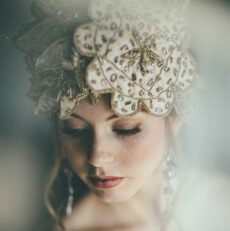 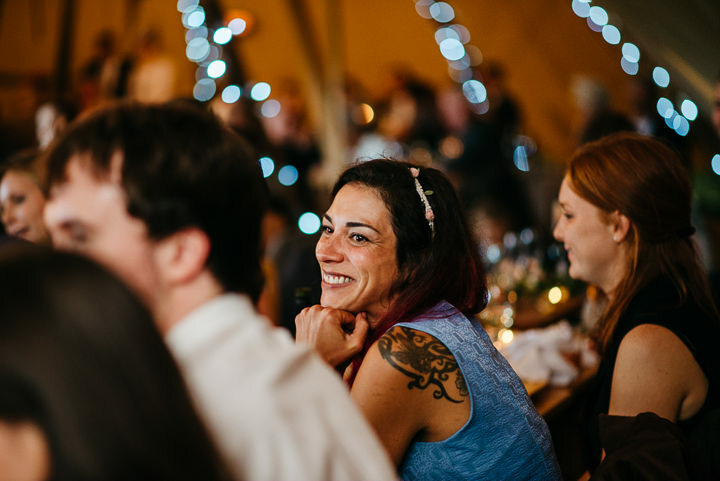 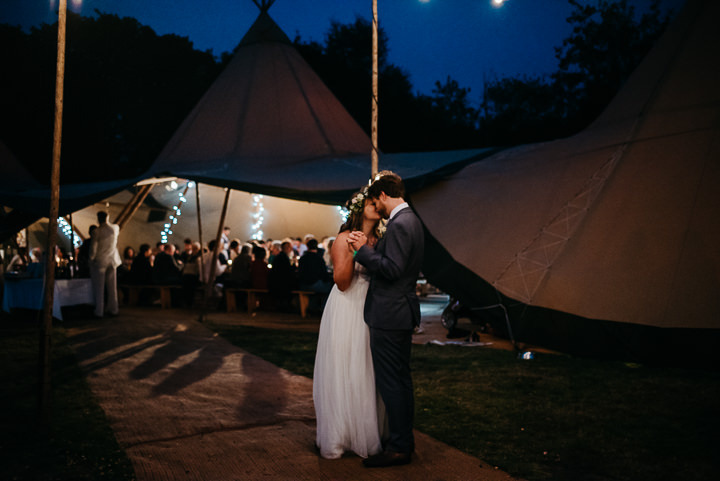 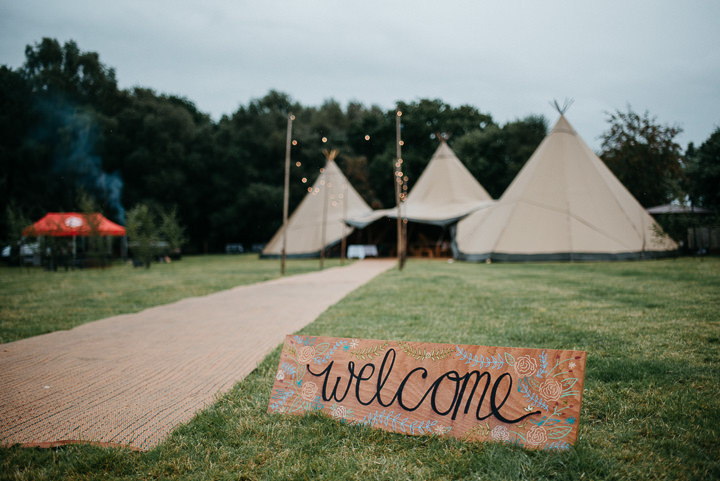 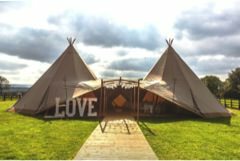 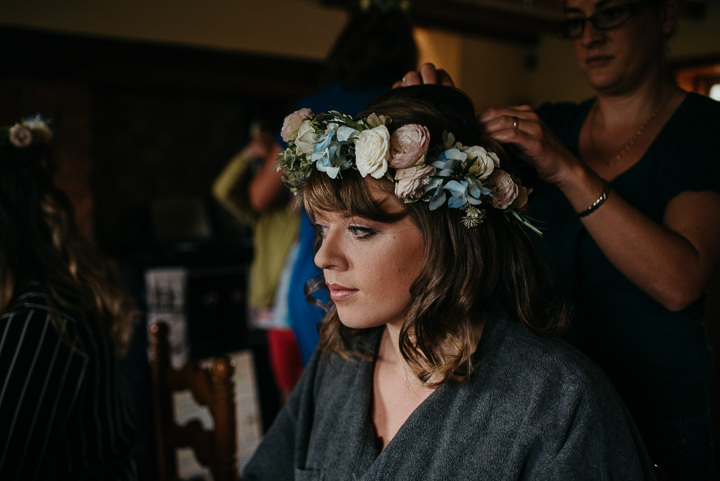 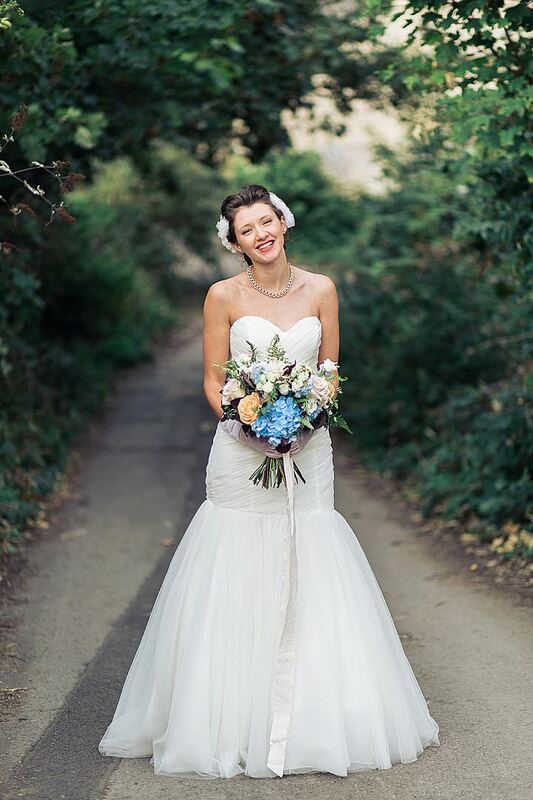 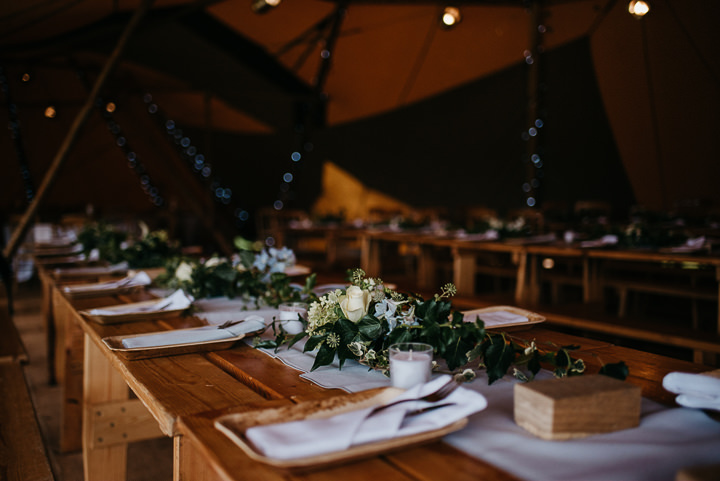 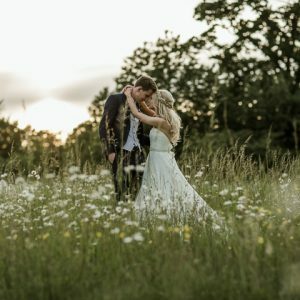 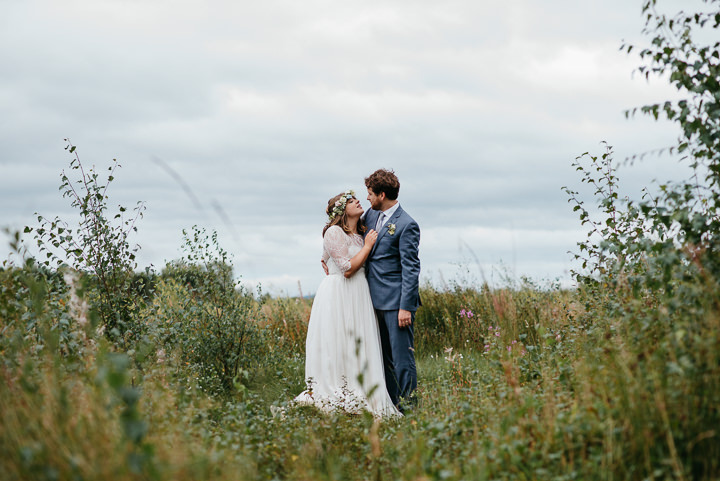 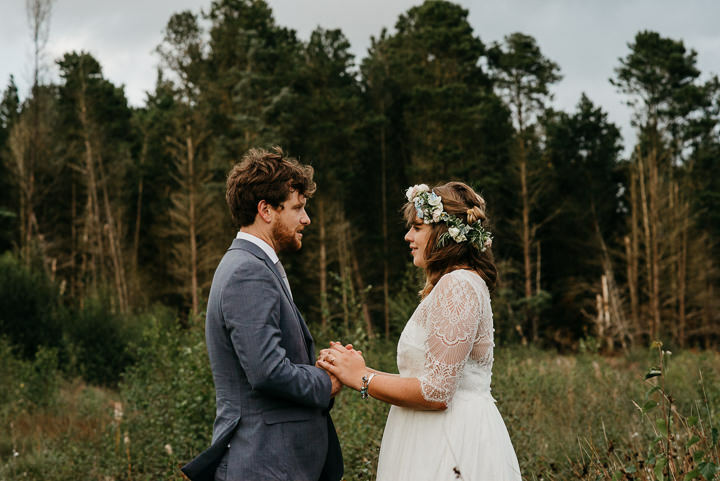 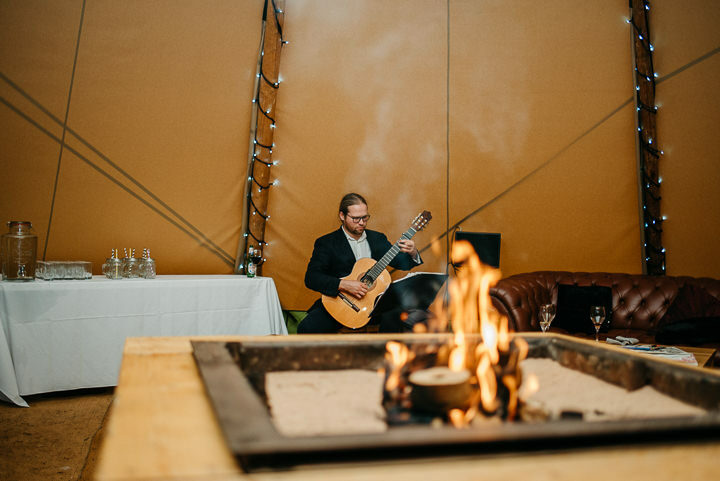 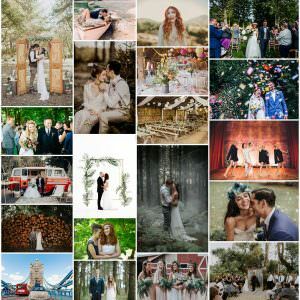 With a Tipi reception set in a woodland clearing this wedding screams out Bohemian goodness. 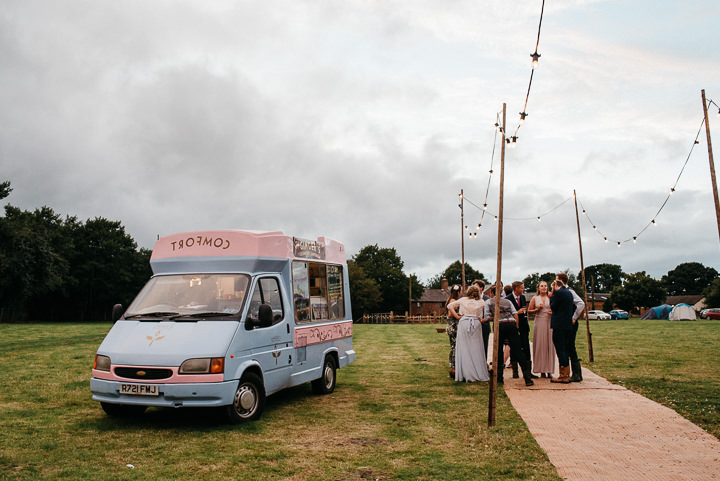 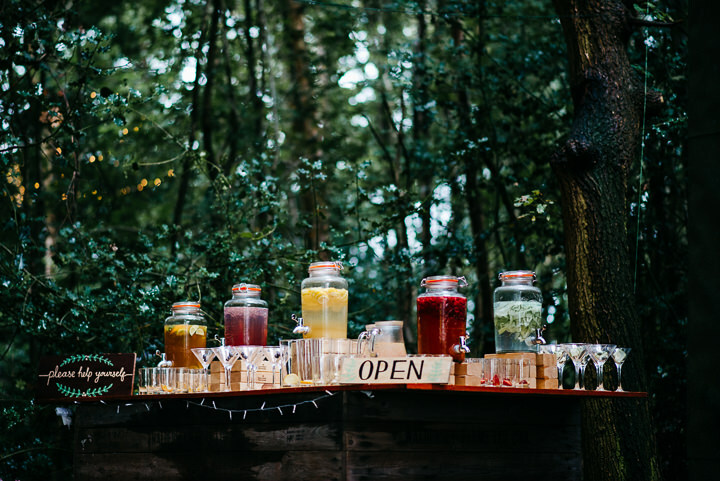 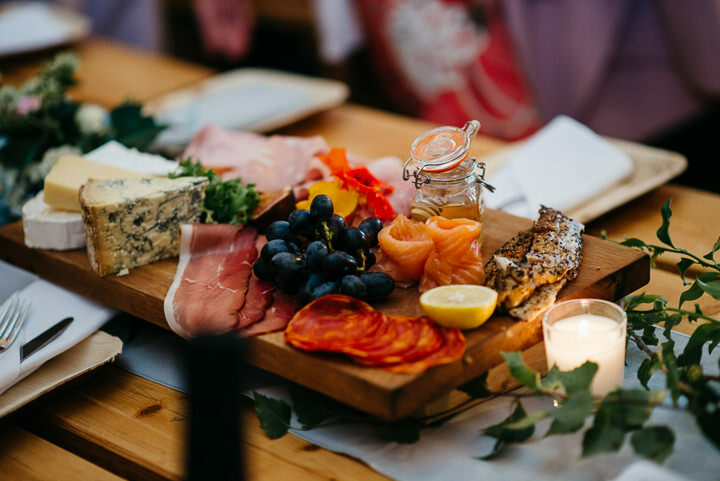 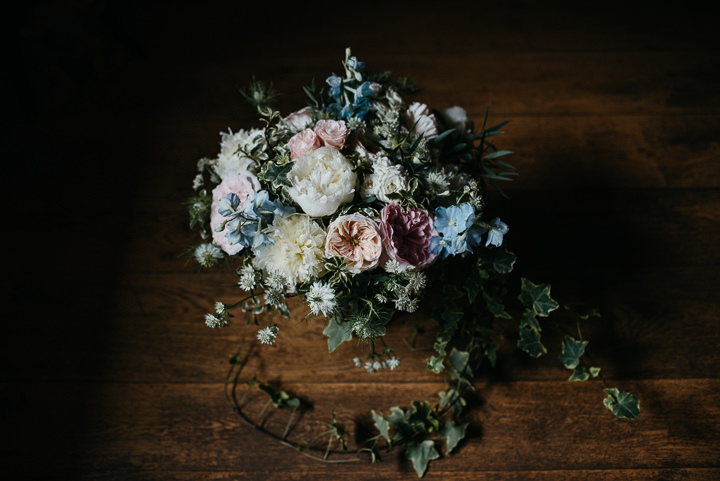 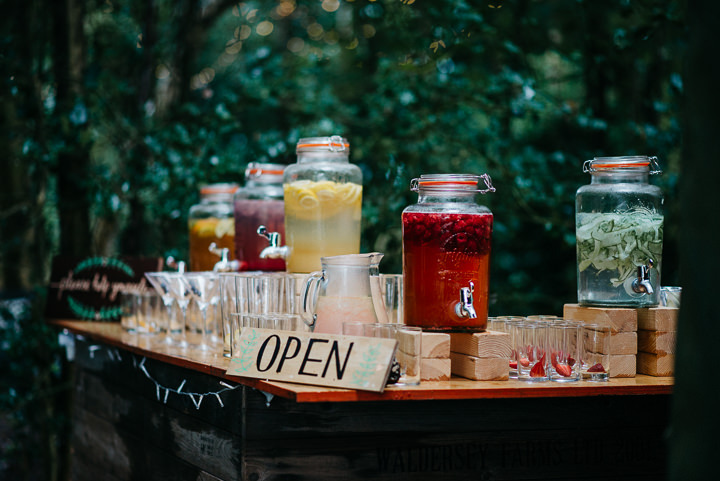 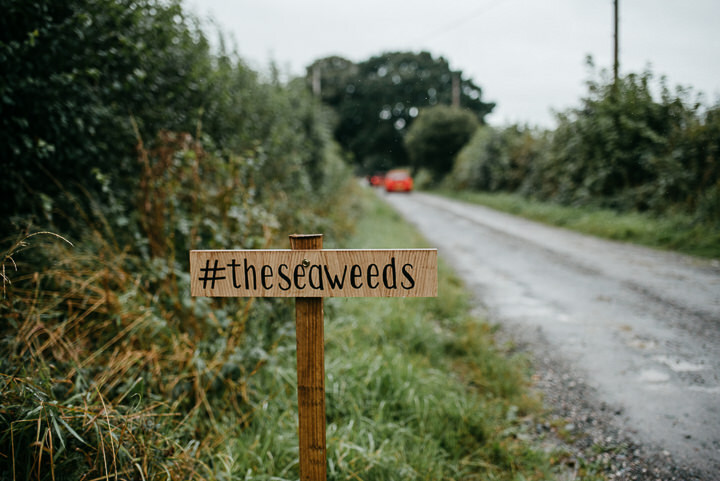 With a help your self drinks display, relaxed seating, yummy food, cute flower crowns and a delicious ice cream van, I just know you are going to love this wedding as much as I do. 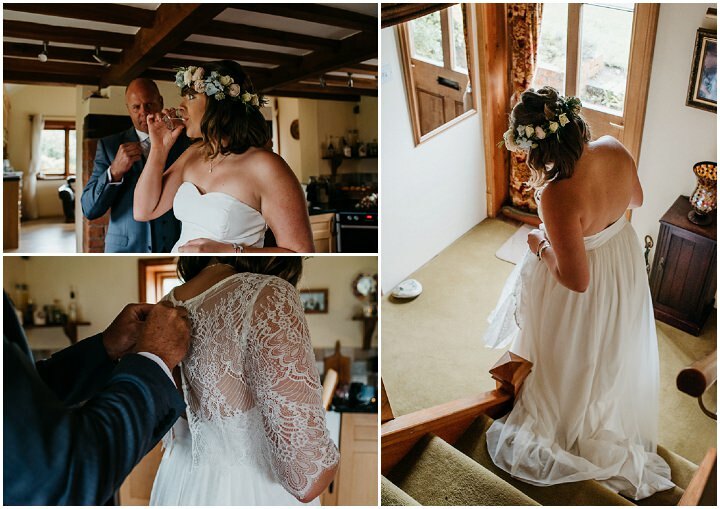 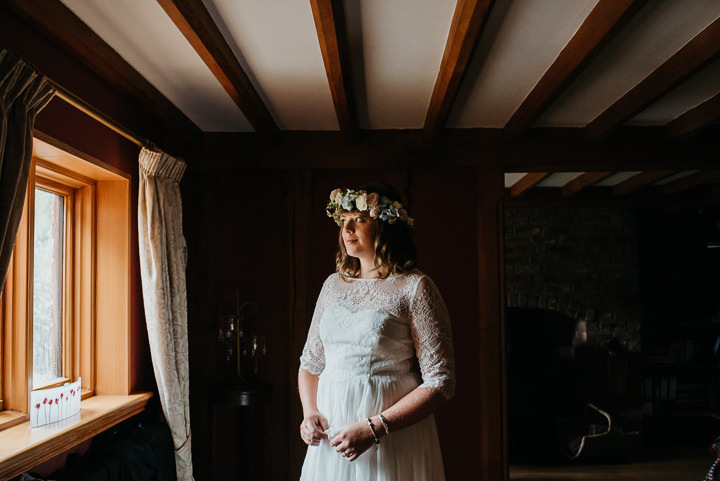 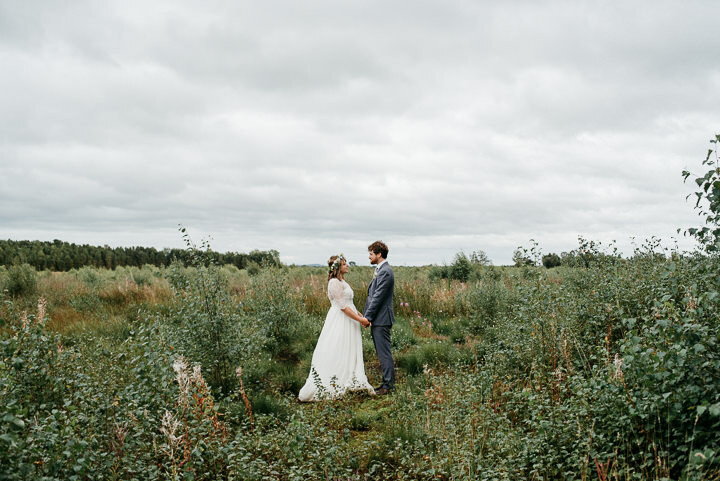 Abel and Paul made the trip from their home in Devon to where she grew up, right on the edge of the Fenn’s, Whixall and Bettisfield Mosses National Nature Reserve. 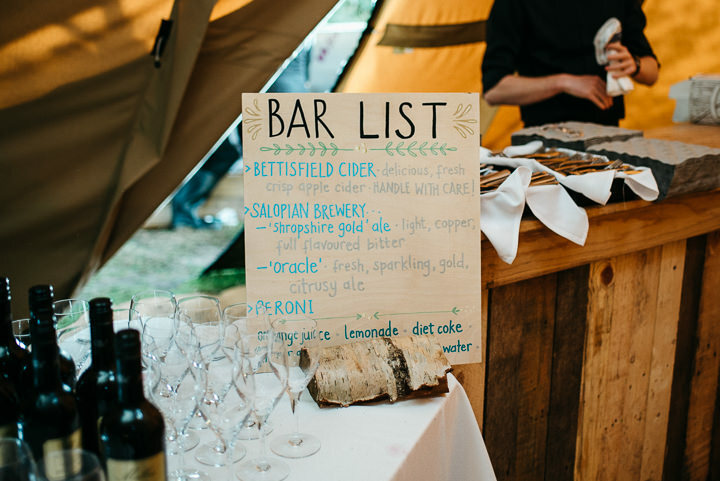 Helped by family, they spent the evening before setting up the tipi and fairy light lit woodland bar. 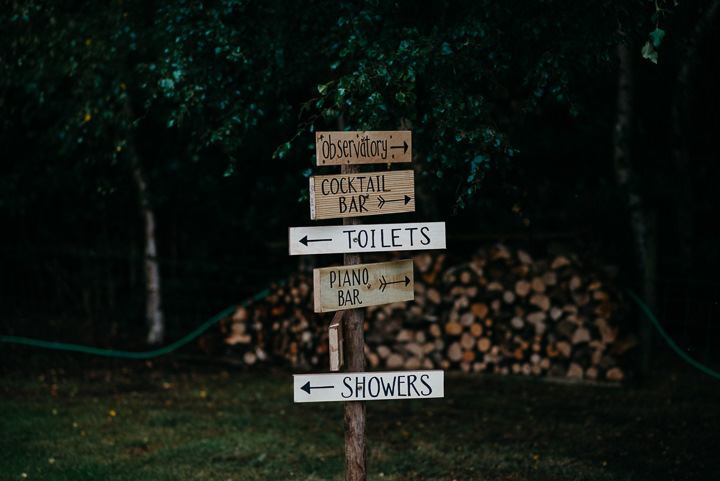 When I arrived, despite the rain the place looked AMAZING! 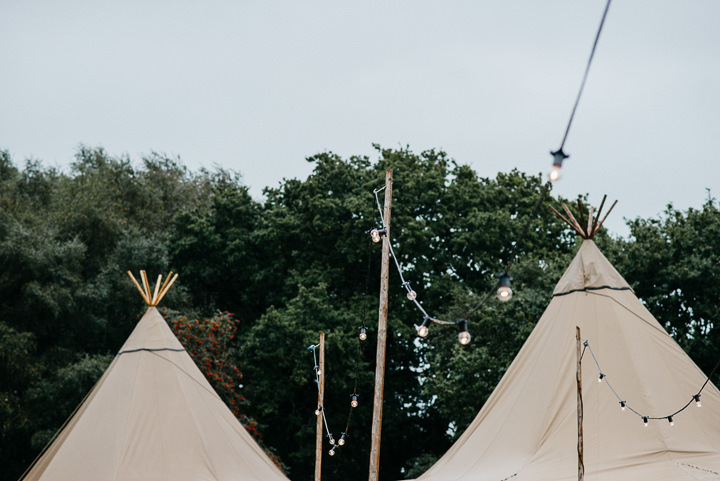 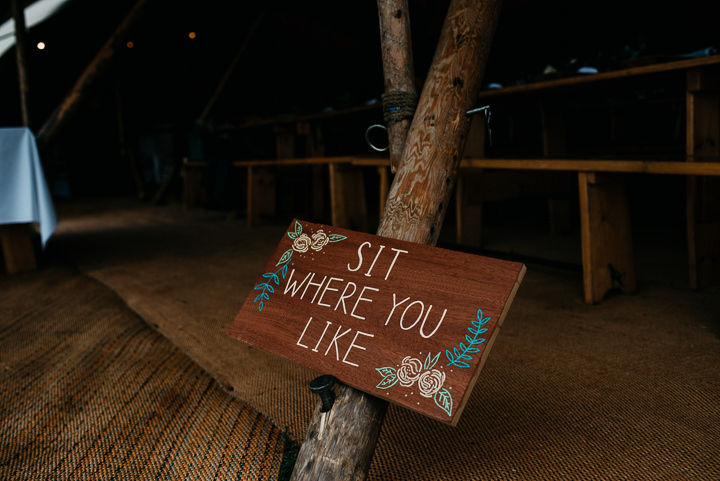 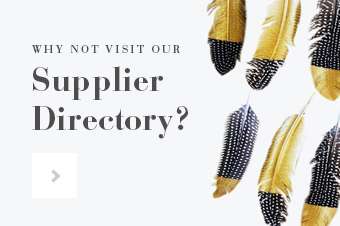 They had put together a relaxed, glamping type festival feel with festoon lighting, pallet wood furniture, a piano in the woods and an on site camping area. 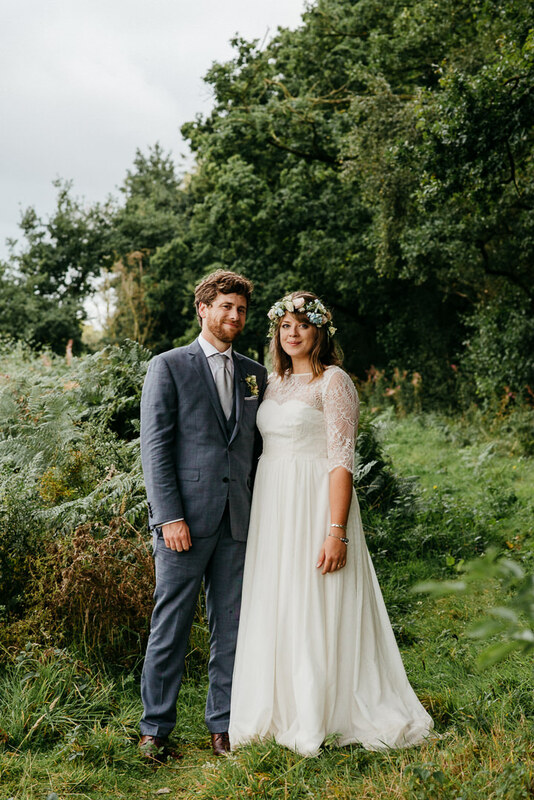 Despite the weather, Abel was perhaps the calmest bride I’ve met. 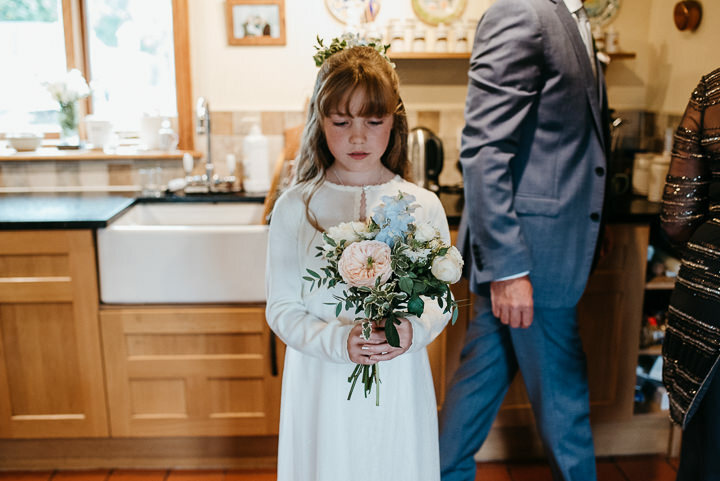 She glided through prep with her sisters and best friend while family, still in wellies from last minute setting up dropped in. 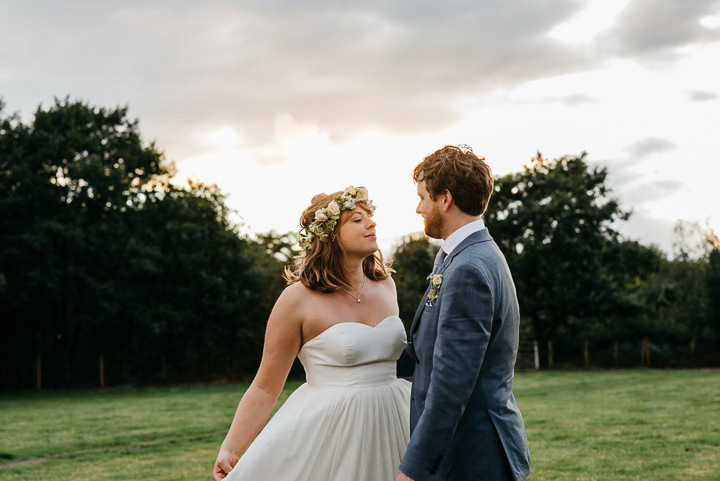 Abel wore a dress from Monsoon, which she chose with Pauls help. 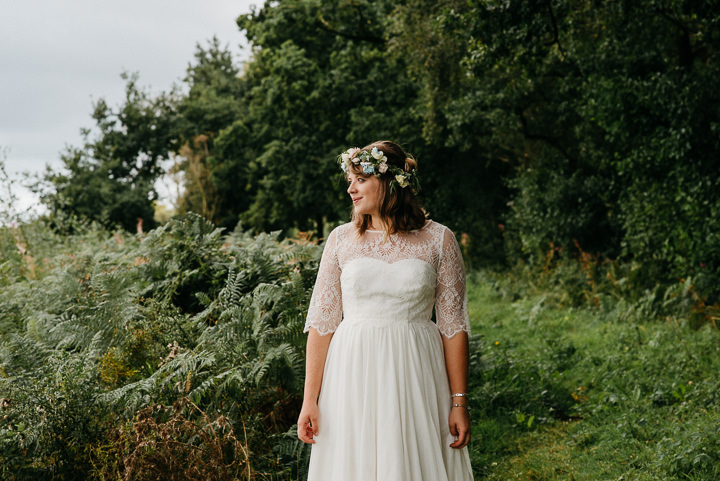 She wanted something affordable, so she didn’t have to worry about getting it dirty or snagging it in the undergrowth and brambles of the mosses. 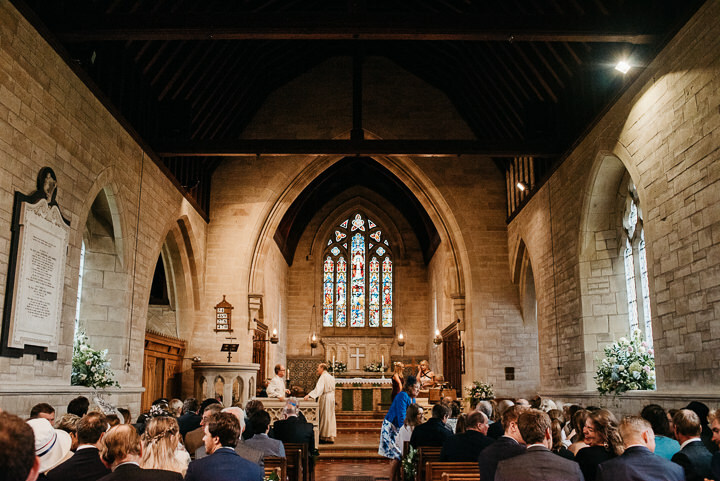 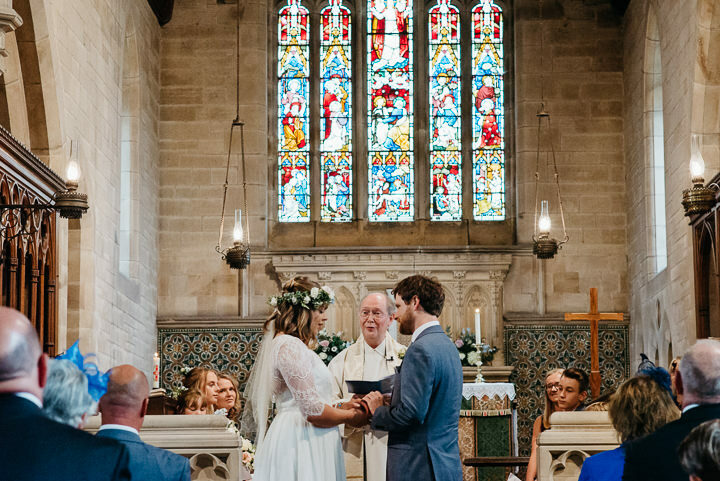 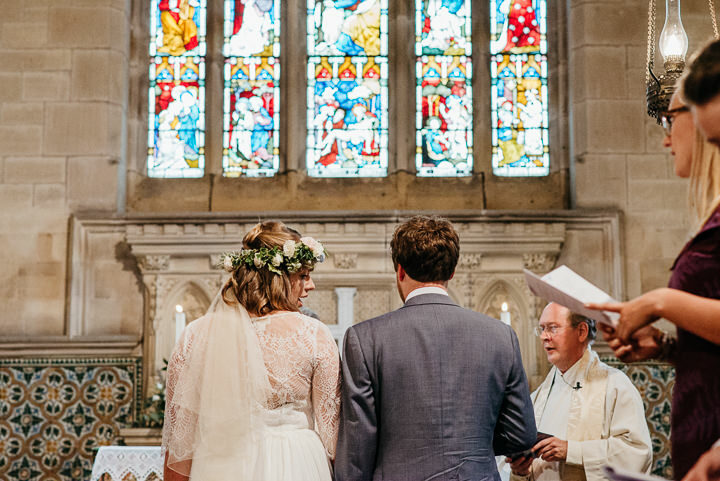 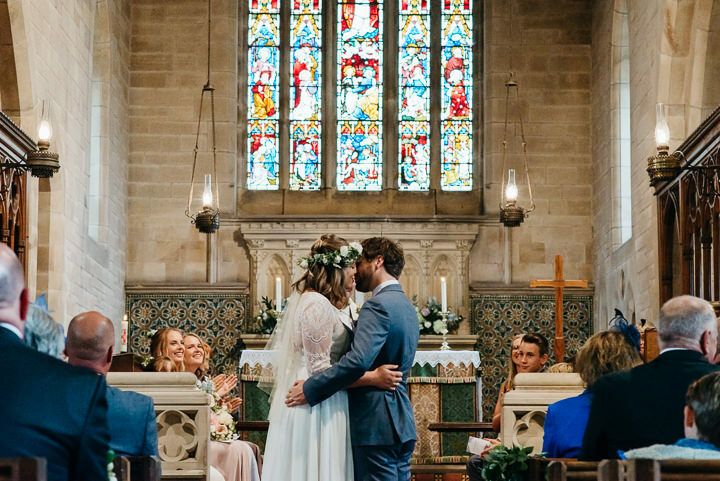 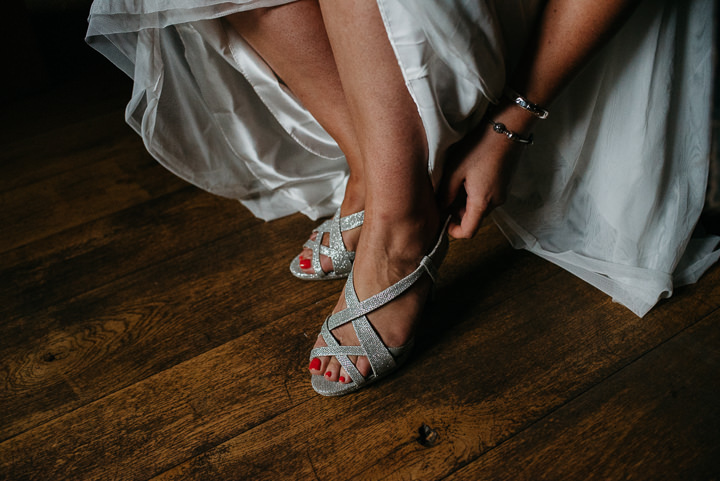 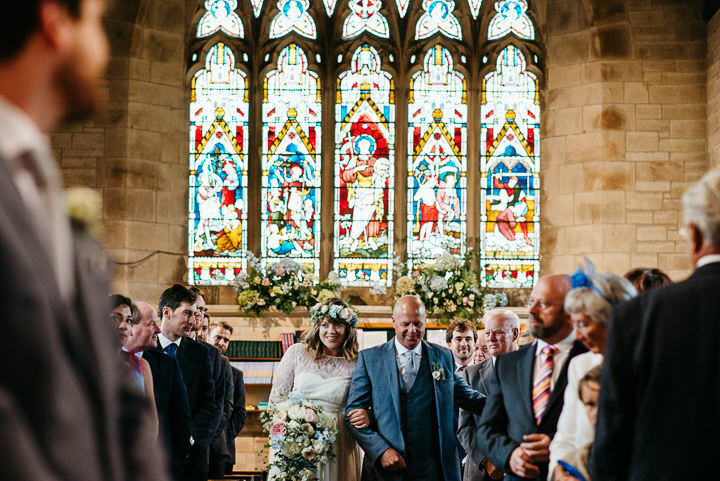 They travelled a short distance to St John The Baptist’s Church in nearby Bettisfield for their wedding ceremony which was filled with giggles and laughter. 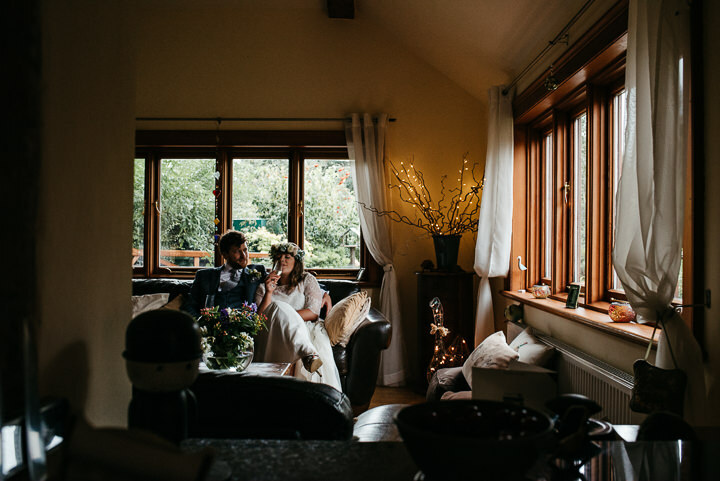 After heading back for the reception, Abel and Paul took some time out in the house while hoping for a break in the showers. 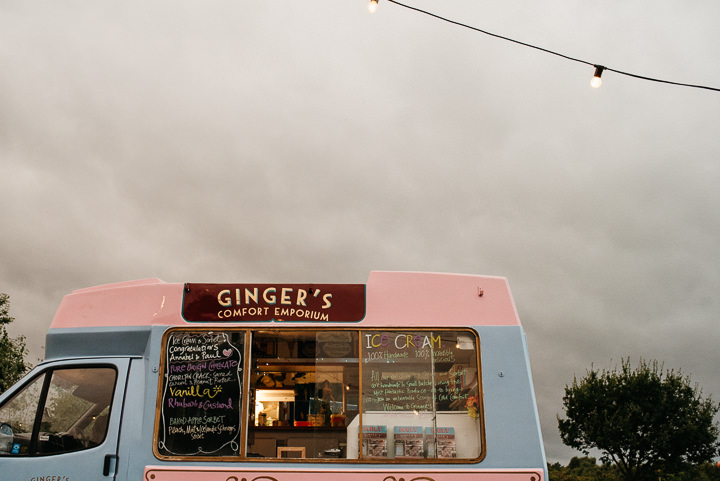 Of course, they also had to have some sneaky chocolate digestives and a glass of champagne while they were there! 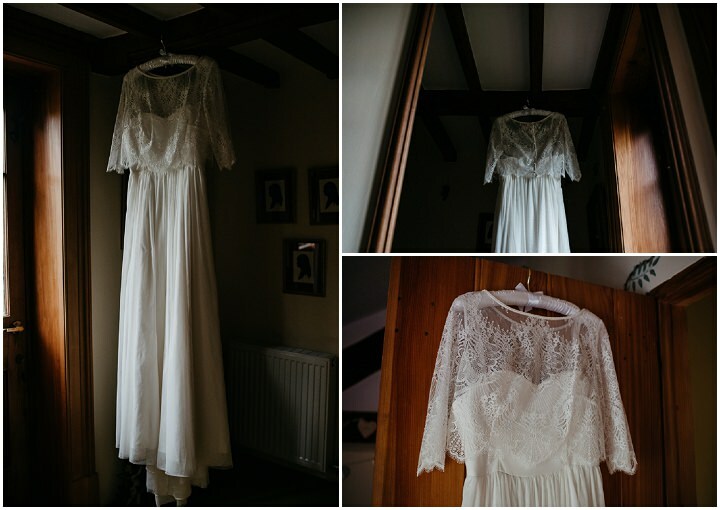 The light in the dining room was amazing so we took a few shots in window light. 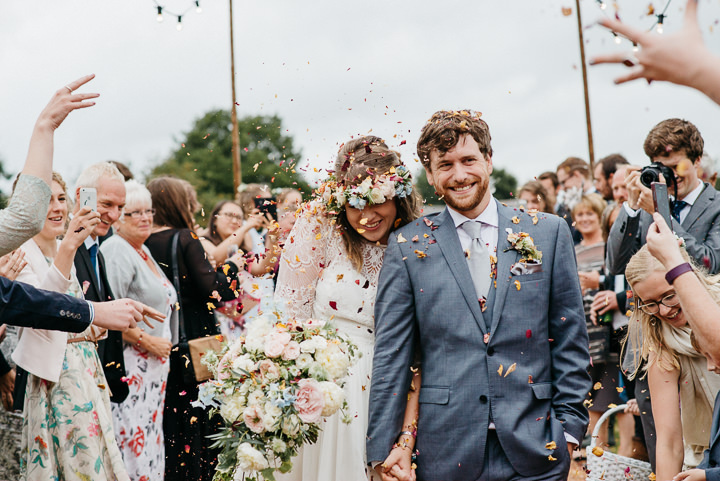 On their arrival at the reception, they were treated to the longest confetti gauntlet I’ve ever seen! 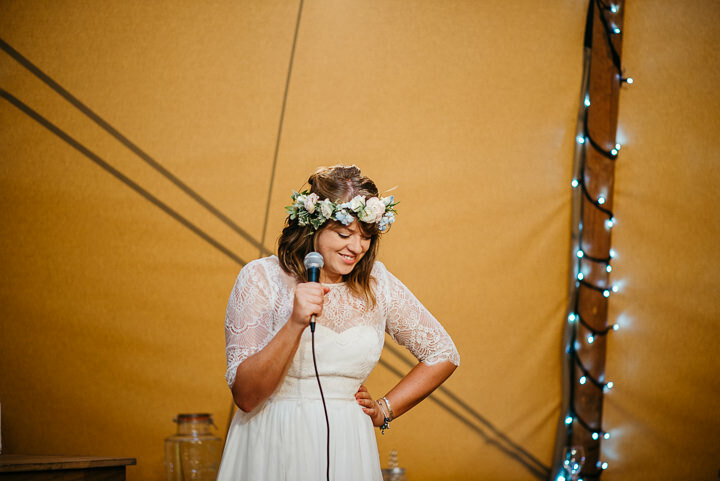 Abel’s mum dried the confetti herself and it was the most beautiful mix of wine, yellow and white flower petals. 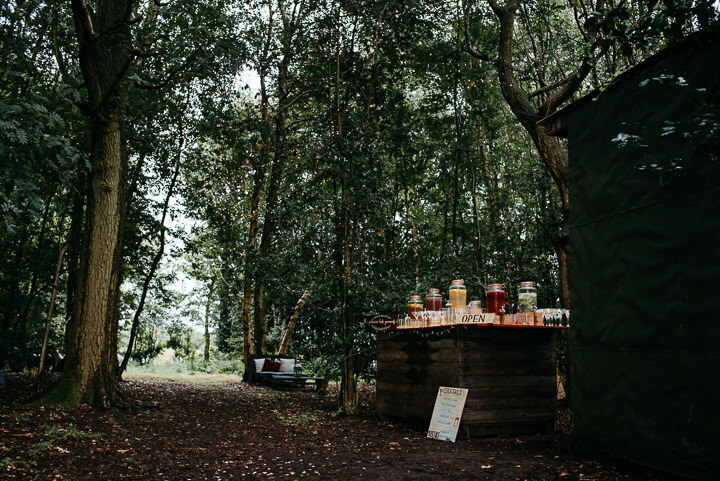 The reception super relaxed with guests relaxing in nooks of the woodland on pallet wood furniture or gathered around the piano near the cocktail bar. 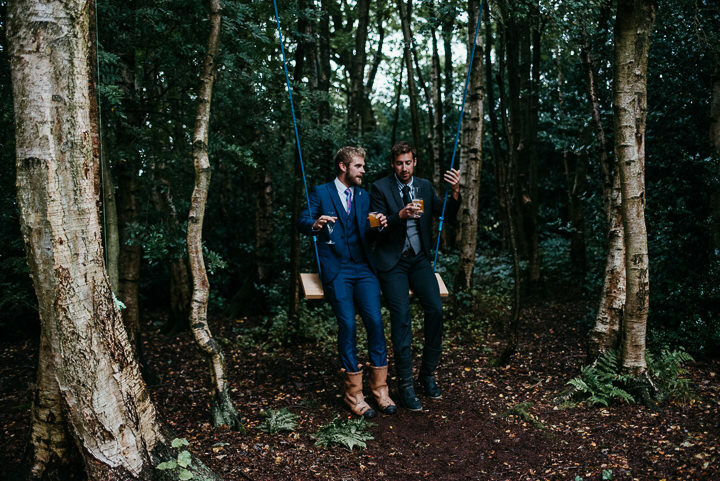 We explored the mosses and took some relaxed portraits, before heading back to the tipi for speeches. 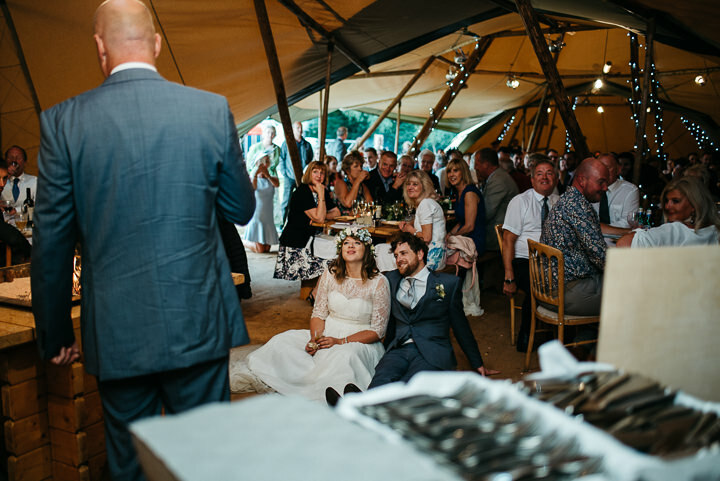 I have never seen a couple sit on the floor for speeches before! 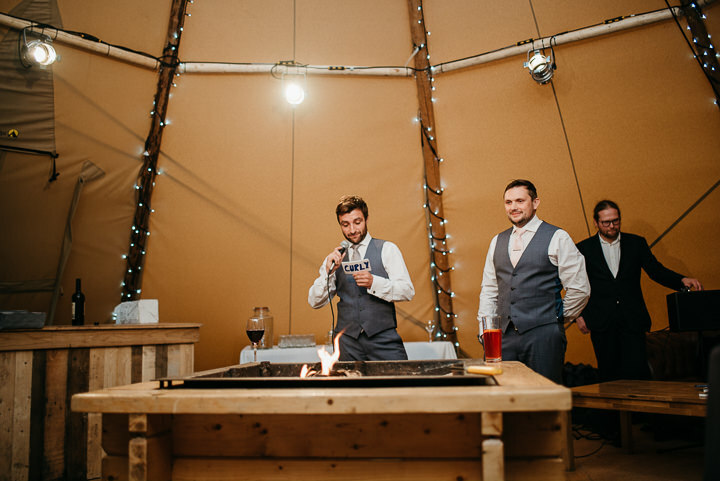 The whole day was just stress free and chilled out.